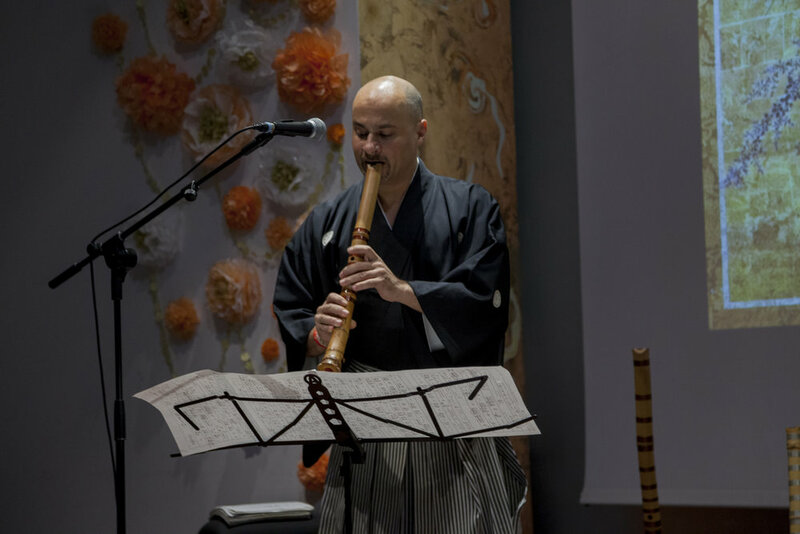 On the occasion of the commemoration of the 150th Anniversary of the establishment of diplomatic relations between Spain and Japan, the Women’s Federation for World Peace and Universal Peace Federation held a cultural event on November 9, 2018, in Madrid. 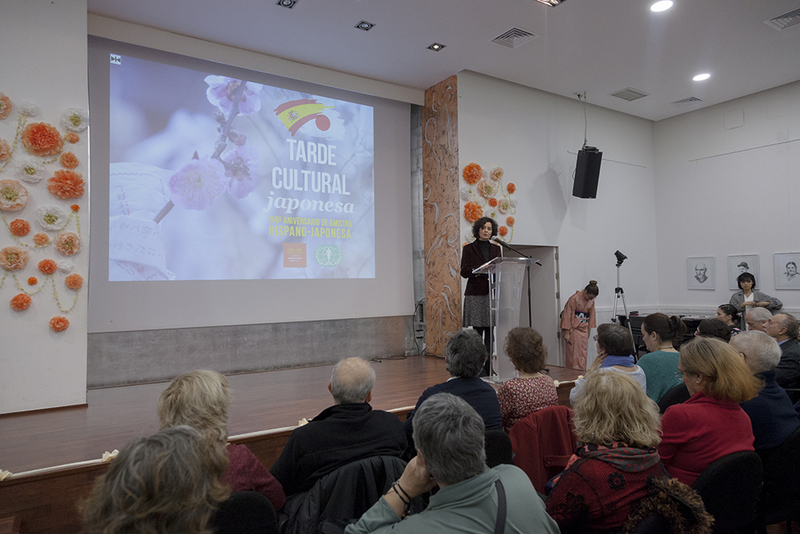 The program began with the moderation of Armando Lozano, Director of the Universal Peace Federation and words of welcome from Marcia de Abreu, president of the Women’s Federation for World Peace, who recalled the importance of some Japanese women, when they came to support and promote the AMPM in Spain. 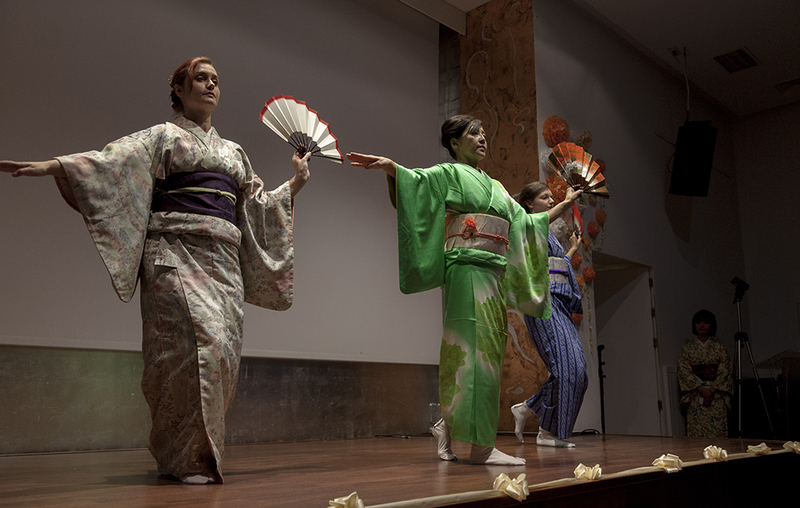 More than 120 people gathered to witness the demonstration of how to dress a kimono, participate in the interactive activities of Origami, with Gracia Fehlberg and Baile Bon Odori, enjoy the dance exhibition of the Shuukookai group, directed by Noriko Hata and attend the fusion concert conducted by Carlos Guerra, Tokuko Nakamura and Antonio Olías. In addition, Japanese women offered to write people’s names in Japanese calligraphy and everyone partook in a Japanese-style ‘kampai’ Blessing toast followed by a prayer by Mr. Lozano. The event was concluded with a delicious tasting of Japanese and Spanish food.